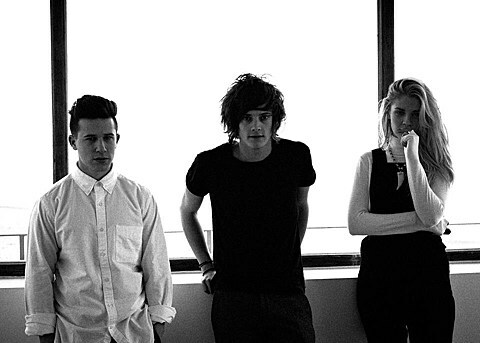 UK electronic pop trio London Grammar, who were one of the collaborators on Disclosure‘s Settle and also released their own debut LP If You Wait this year, were in North America not long ago, and they’ve announced that they’ll return in 2014. We already knew they’d be coming for SXSW, and they’ll do other shows on our side of the Atlantic around then too. Those dates include a BrooklynVegan-presented NYC show happening on April 9 at Irving Plaza (their last NYC show was a sold out one at the smaller Gramercy Theatre). Tickets for that show go on sale Friday (11/22) at 10 AM and there will be a BrooklynVegan presale starting Thursday (11/21) at 9 AM (check back Thursday morning for the password). After that, Live Nation and Music Geeks presales start Thursday at 10 AM. All currently announced dates are listed below, but stay tuned for more too. When London Grammar’s September/October tour hit Seattle, they recorded a KEXP session, which was recently uploaded and can be watched in full below.